EFL game on Oakland Raiders website! 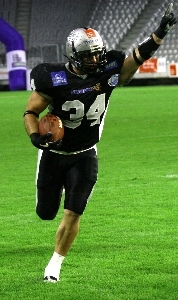 The EFL game victory of Swarco Raiders´against the Coventry Jets is on Oakland Raiders website. Pictures and a report of the EFL quarter final Cassidy Jets @ Swarco Raiders are on the main page of the Oakland Raiders.